When you work locum tenens, you have the opportunity to travel to a variety of places—sometimes across the country and other times across town—to practice alongside new colleagues and care for diverse patient populations. Not surprisingly, you are bound to develop a genuine fondness for some locations and would welcome an invitation to go back. Fortunately, there are things you can do to increase the possibility of a return engagement. Read on to learn about six of them. Be personable. It may seem like a no-brainer—and something you would do regardless of future opportunities—but being friendly, authentic, and interested in your peers and other staff will go a long way toward making you a top pick for subsequent locum tenens jobs. Introduce yourself to the medical team when you arrive and make a concerted effort to remember each person’s name. Be timely. To be viewed as dependable and dedicated, always report on time for your shift. Moreover, if you arrive a little earlier than the schedule calls for, you will earn a reputation of being reliable and conscientious—two qualities that are highly revered and sought after by hospital administrators and practice managers alike. Be flexible. Whether you are on assignment for 10 days or 10 weeks, demonstrate that you are not only willing but also easily able to adapt to everything, from established policies and preferences to the electronic health record (EHR) system. While you may know other ways to accomplish tasks—and might even find them to be superior to those being used—remember, first and foremost, you are there to assist and fill a staffing gap. However, when an administrator asks for your expertise and perspective, you can offer suggestions based on both your permanent and locum tenens experiences. Be thorough. It stands to reason that different facilities have different processes when it comes to documentation. Make sure you have an in-depth understanding of how information is recorded and maintained. Although you will receive instructions as to what is required, it is essential to capture data completely and accurately, and sign your charting. Be a team player. Always regard permanent staff and other locum tenens professionals with respect; be open to their approaches and experiences. Be a good listener and considerate of others’ ideas and their roles in the delivery of quality care. Moreover, whenever you can, go above and beyond what is expected. If, for instance, you would be able to easily switch shifts to help one of your colleagues, confirm that it is acceptable to make the adjustment and consider doing it. Be thoughtful. Express your gratitude to everyone who has made you feel welcome. Send thank-you notes or emails. Think about doing something special—like bringing in a seasonal treat, fruit basket, or flower arrangement—on the final day of your contract to show your appreciation to colleagues and support staff. 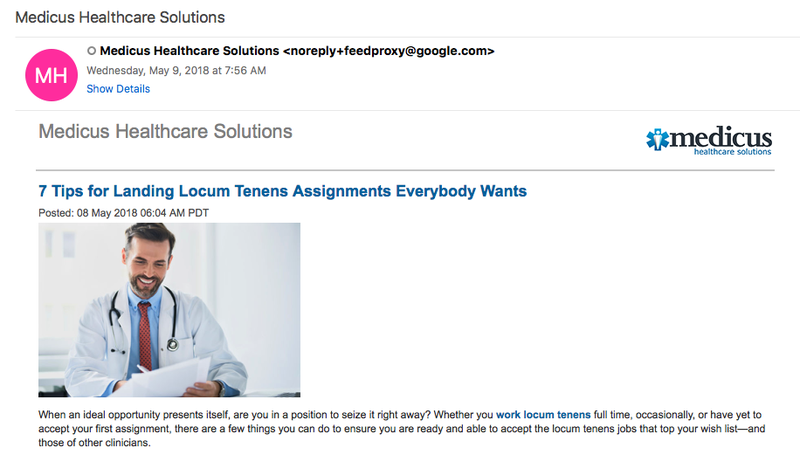 What’s more, let your recruiter and facility or practice decision makers know how much you enjoyed the assignment and that you are interested in being considered for upcoming locum tenens engagements. 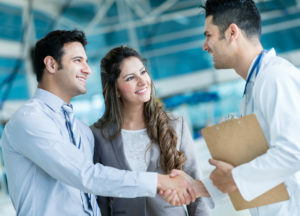 Whether you would enjoy revisiting a given medical group annually or regularly accepting locum tenens jobs at a certain hospital or clinic, applying the above suggestions can help you make a lasting impression that will give you a coveted spot on facility and practice managers’ candidate wish lists. To begin exploring opportunities and learn about the benefits of repeat or extended assignments, speak with a Medicus Healthcare Solutions recruiter today by calling 855.301.0563.